What Christmas means to me. Boxing Day morning 18 with Sophie & Will from Breaking 3. 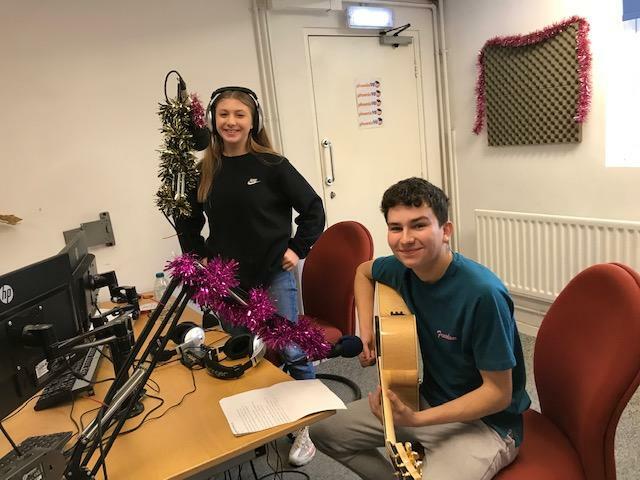 Sophie and Will from Breaking 3 were my studio guests performing live just after 11 o’clock. Their numbers were Rocking around the Christmas tree, Santa Claus is Coming to town and Merry Christmas everyone. There was large response of on-line listeners. They have been performing at a wide range of venues in recent weeks. Catch them on Saturday 30th at Walthamstow market. 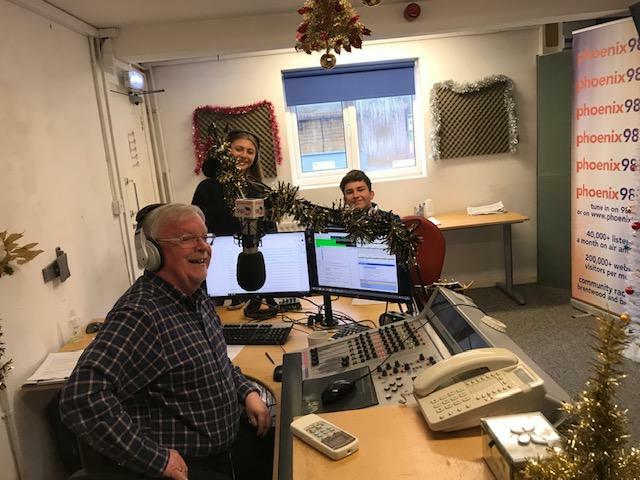 Throughout the show we read a number of items produced by pupils from Ingatestone & Fryerning C of E Junior school under the title, ‘What Christmas means to me’. These were very entertaining. For many Christmas involved going to the crib service at the local church. For everyone it was about spending time with family, together with giving and receiving presents. Watching Christmas films was also a favourite. Lots of the children also wrote about the importance of helping people less fortunate than themselves. We had four recordings from children at the school, courtesy of Jon Good from Phoenix FM going into school. Two carols from the choir and two numbers sung by year 6 from It’s Christmas’ published by Edgy Productions and written by Andrew Oxspring and Ian Faraday.. Many listeners commented how much they loved listening to the children. Tim Lee joined us for the final part of the show. He told us about the Nativity play at Mountnessing Primary school, the Christingle service at St. Giles church Mountnessing and the Christmas morning service at Buttsbury church. The Robinson family were our furthest from Brentwood listeners who contacted today, loving the show in north Wales. The music included tracks from Annie Lennox, Brenda Lee, John Legend, Pentatonix, Maddie Prior, Boney M, Post Modern Juke Box, Justin Bieber, Sting and many others. The Post Modern Juke Box track – their rendition of Last Christmas in the style of the 1940s Andrews Sisters was like a party game. It strongly divided opinion amongst listeners and those in the studio. Join me Friday from 8-10 pm where it will non-stop Christmas, but with an emphasis on tracks other than those we always hear.